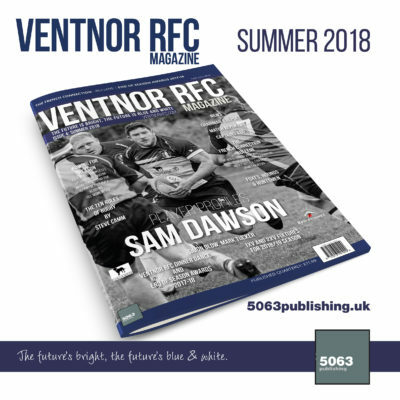 The Ventnor RFC Magazine is published quarterly (with editions for 2018/19 season in December, March, June and August). The magazine is independently produced and published by 5063 Publishing. 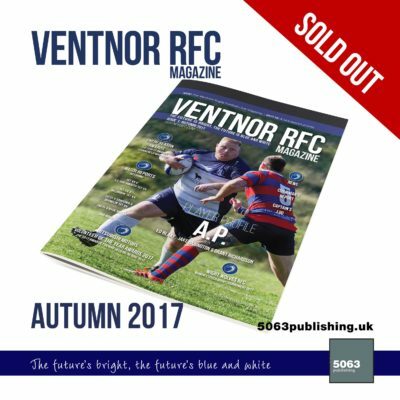 Start a subscription to the Ventnor RFC Magazine, at a discounted rate, via direct debit every 3 months. 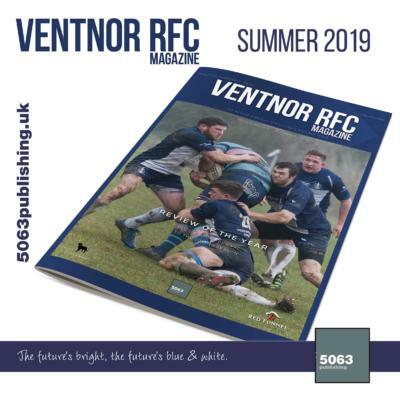 The Ventnor RFC Magazine is published quarterly and available via a subscription (via direct debit). It is easy to sign-up via the links below (you will be prompted to enter your name, email address, postal address and debit/credit card details - we do not see or receive your debit/credit card details, as they are retained by the payment collection system - Stripe (a U.K. based payment processor) - further details are provided below. Includes P&P to Isle of Wight postcodes (PO41, PO40, PO39, PO38, PO37, PO36, PO35, PO34, PO33, PO32, PO31, PO30). You may cancel your subscription at anytime should you no longer wish to receive the magazine. 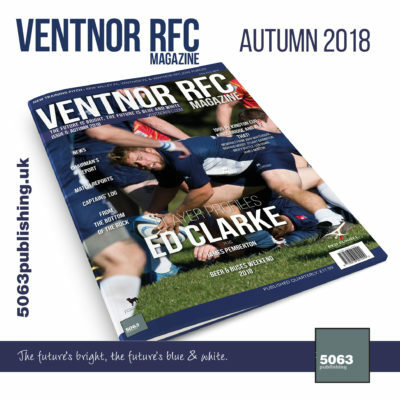 Magazine published quarterly (Dec, Mar, May, Aug for 2018-19 season) - for non-Ventnor RFC players. Includes P&P to mainland U.K. postcodes. 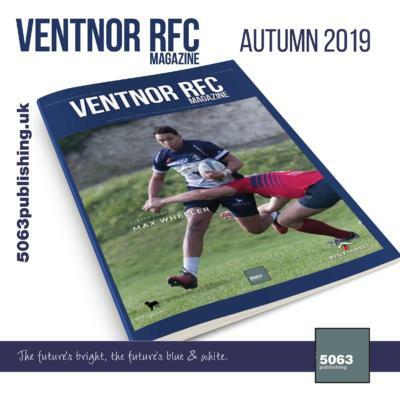 The Ventnor RFC Magazine is published quarterly and available via a subscription (via debit/credit card recurring payments), with payments made to Kaputino Limited (5063 Publishing is a trading name of Kaputino Limited - an Isle of Wight company). Payments are handled by Stripe (the payment processor for the direct debit) to input your name, email address, and postal address and postcode (to find your address - alternatively you can enter your address manually). The Stripe payment processor is a U.K. based payment processing company. We do not receive your payment details, only your name, email and billing address (plus delivery address if different to billing address) as someone who has signed-up for the subscription with these details held only for the purposes of administering your order (we do not pass on your details to third-parties). Delivery of the magazine for subscription will take place within 7 days of the publication date (often sooner). 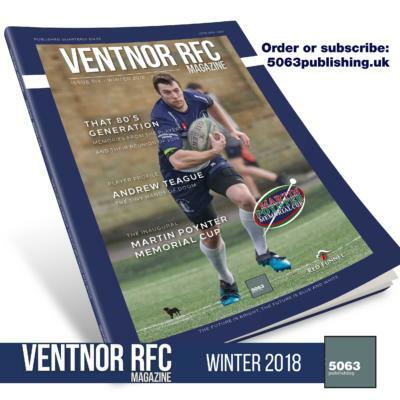 You may cancel your subscription at any time by contacting us via email and you will no longer receive the magazine up to the edition you have paid for prior to your subscription cancellation. You will only receive an edition where you have made full payment for any edition (ie if you cancel your subscription prior to full payment being made for any edition). Where there is a failure of the payment of the by debit or credit we will be notified and there will be a further attempt by Stripe to collect the payment. We will then contact you should this second attempt at payment fail. We will then establish with you as to whether you wish to continue your subscription or pay for each order via our online shop. The cost of the subscription may vary after the first twelve months of subscriptions, but you will be notified of any intended increases to subscription rates before they apply so you have time to consider whether to continue your subscription. 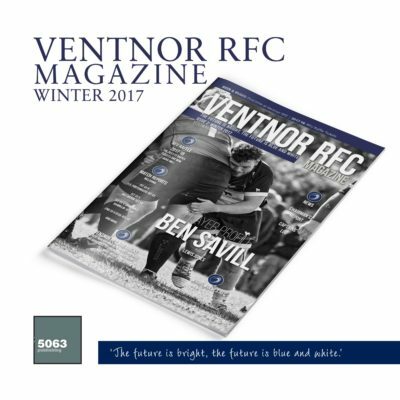 Submit your article to Ventnor RFC Magazine for publication in a future edition. 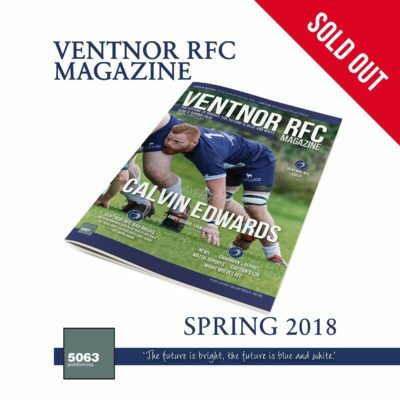 We would like to hear from past or present Ventnor RFC players to submit their player profiles for the Ventnor RFC Magazine. 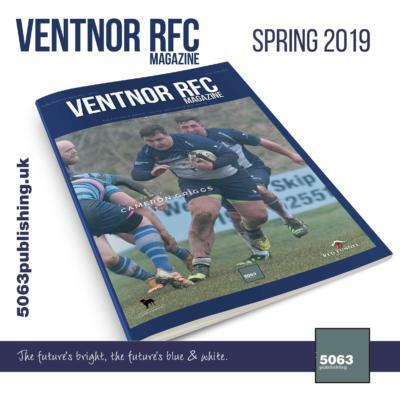 You are invited to submit your Ventnor RFC images to the achive, for publication on/in ventnorrfc.com, Ventnor RFC Facebook page and Ventnor RFC Magazine.